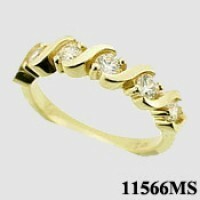 Stock #11566ms :IMMACULATE anniversary ring... Gorgeous hand-made piece!!! Beautiful, Hand-Crafted, top quality Jewelry workmanship!! !